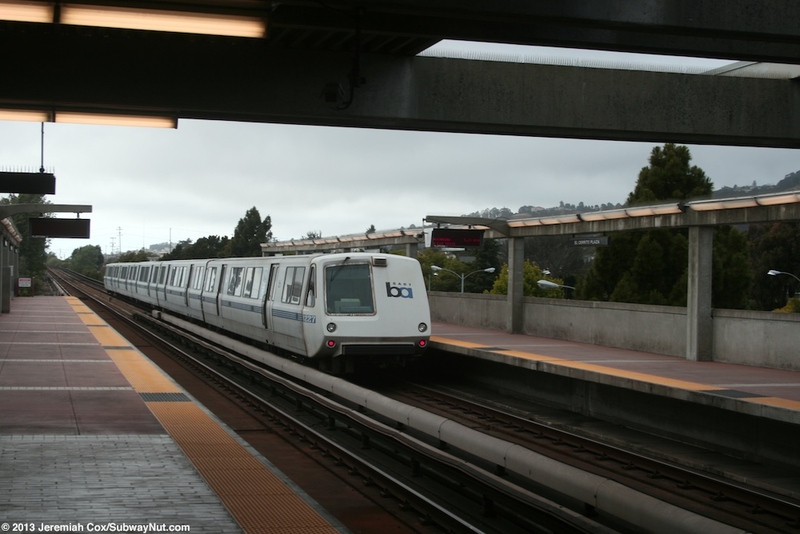 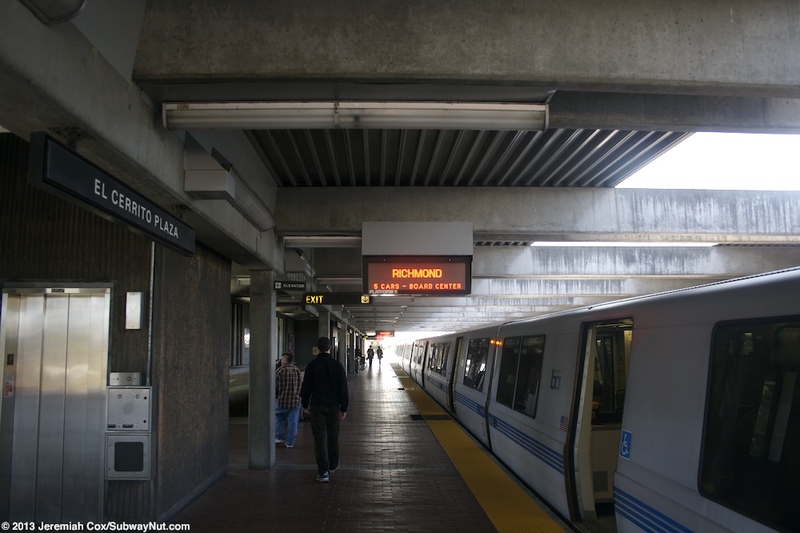 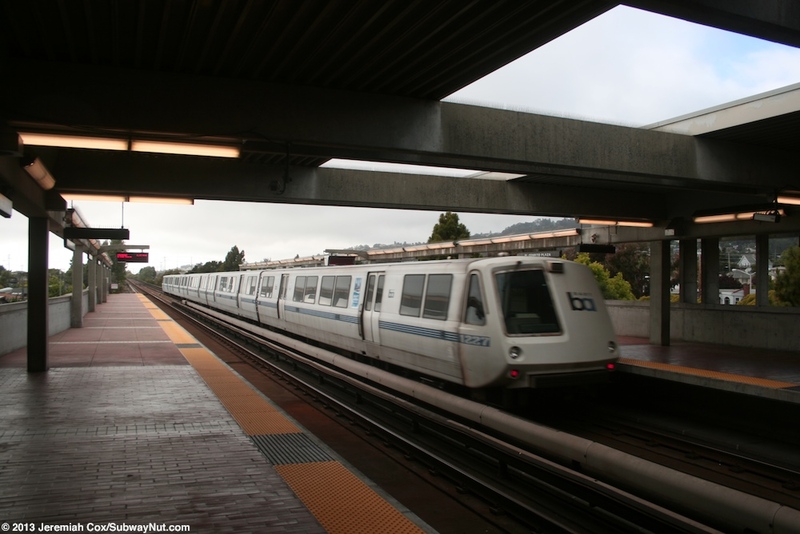 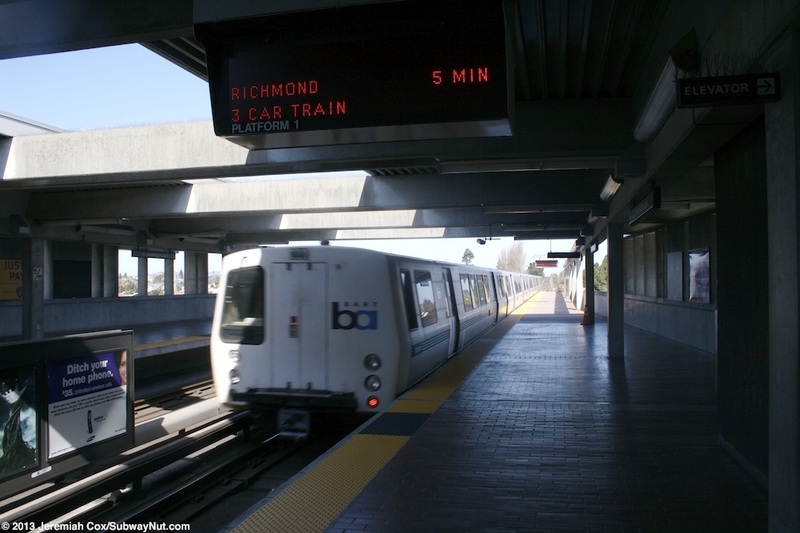 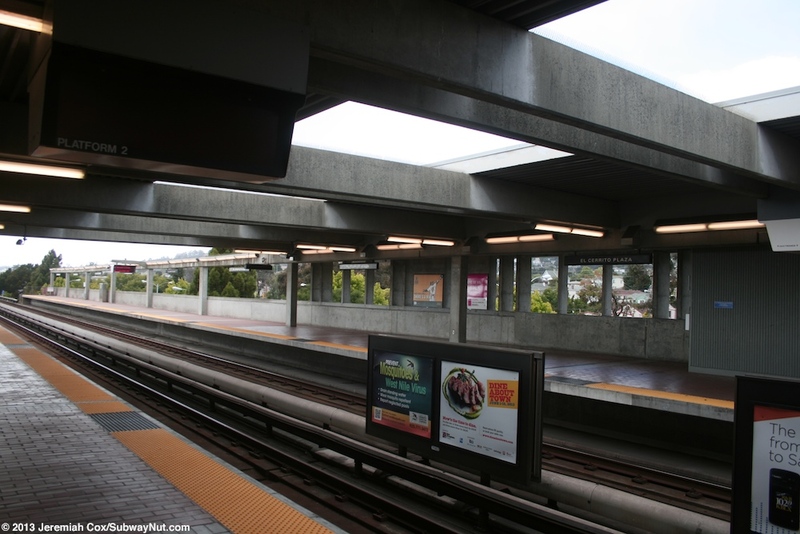 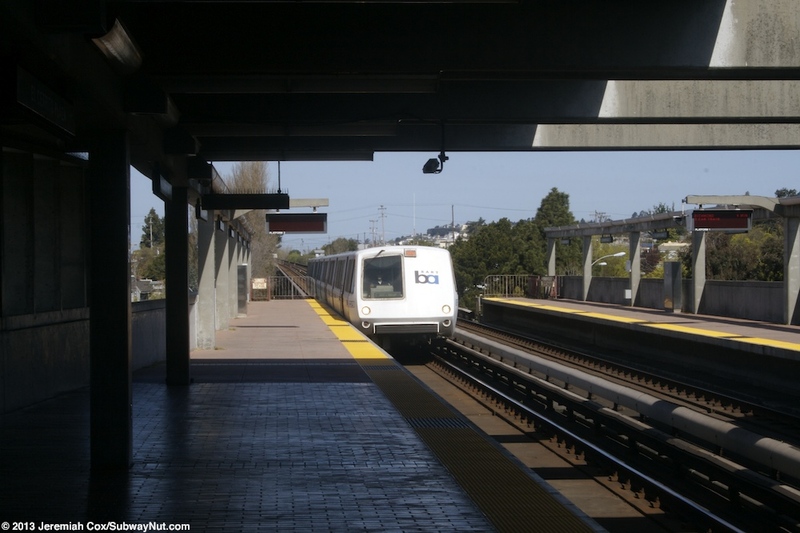 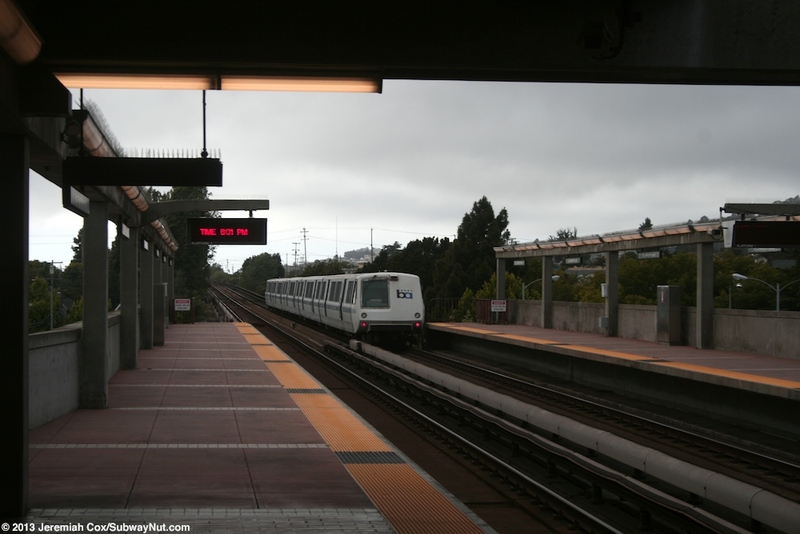 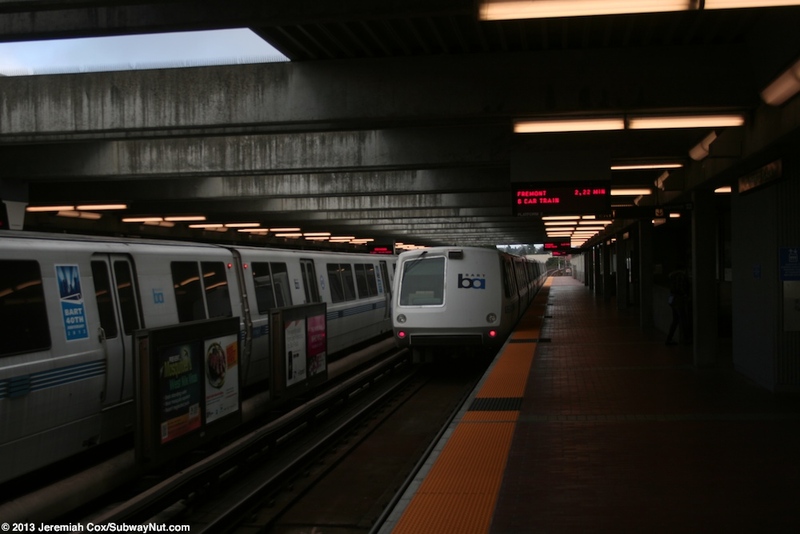 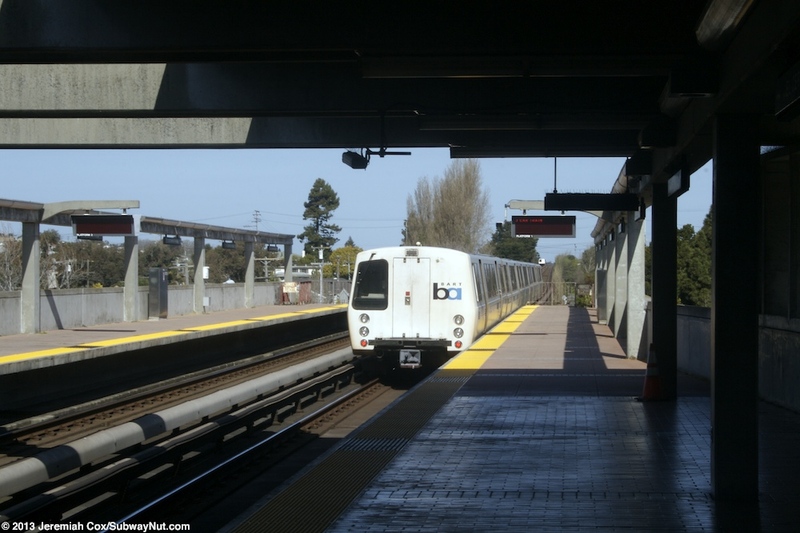 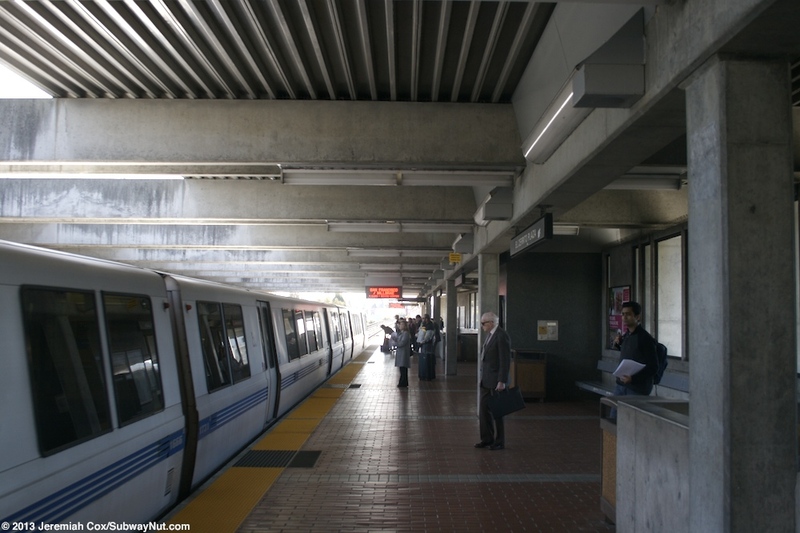 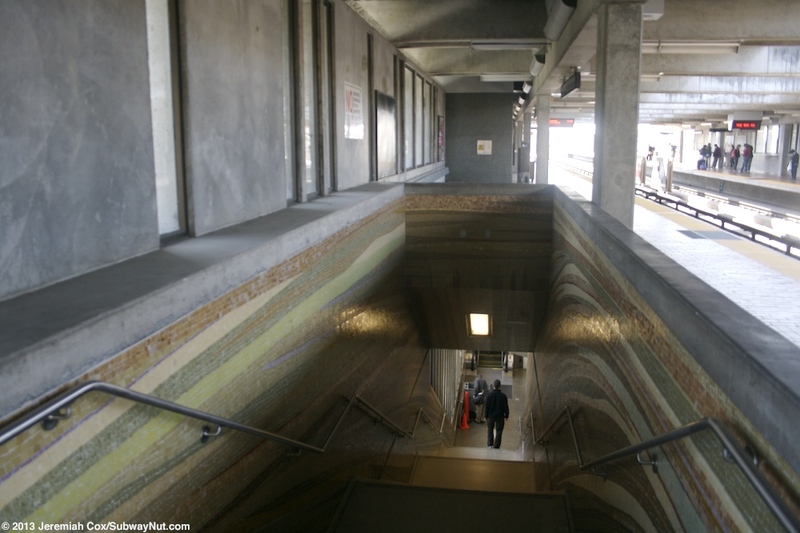 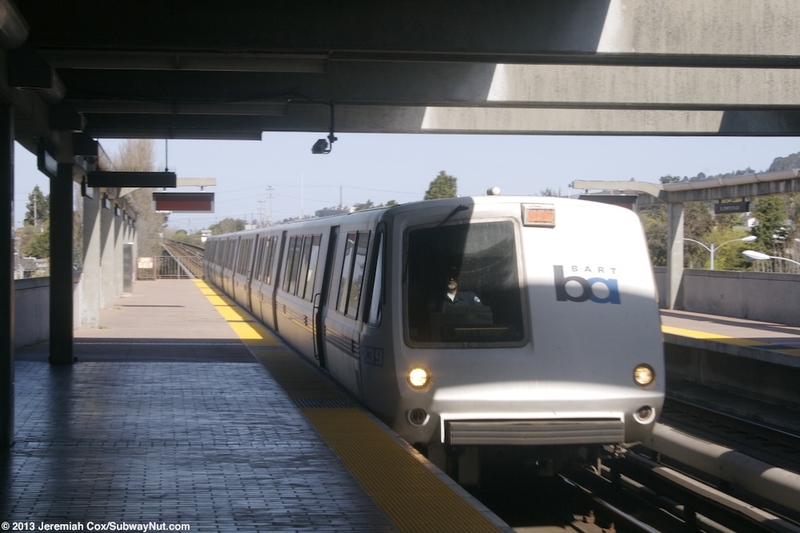 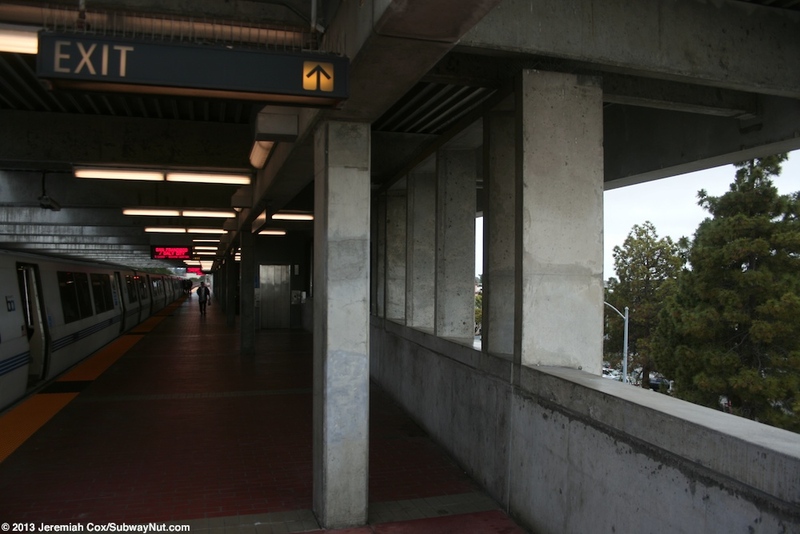 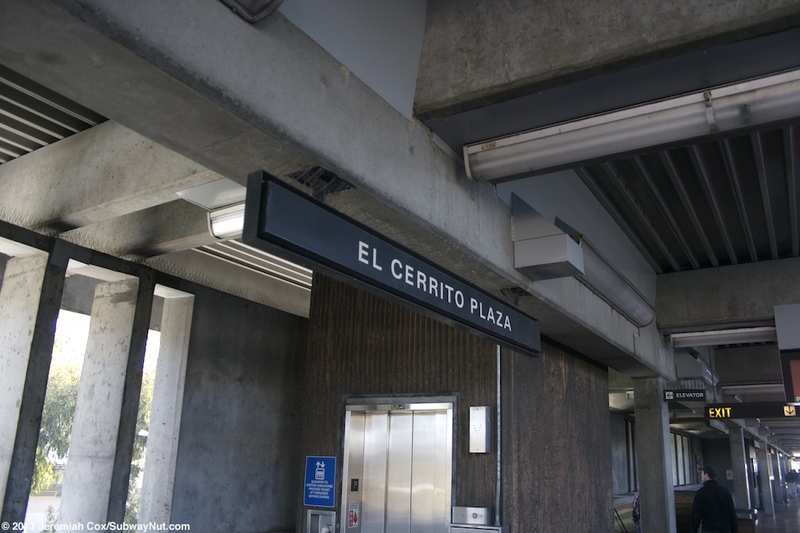 El Cerrito Plaza is an elevated BART station with two side platforms on a concrete guideway that opened on July 29, 1973. 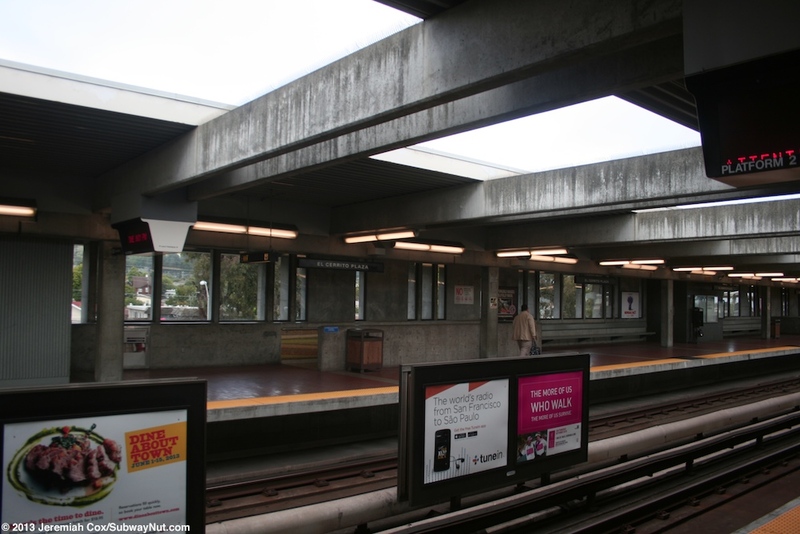 The platforms have bare concrete walls and framing including around the canopy structure (that includes beams crossing over the tracks) around the middle of the platform (covering about five cars). 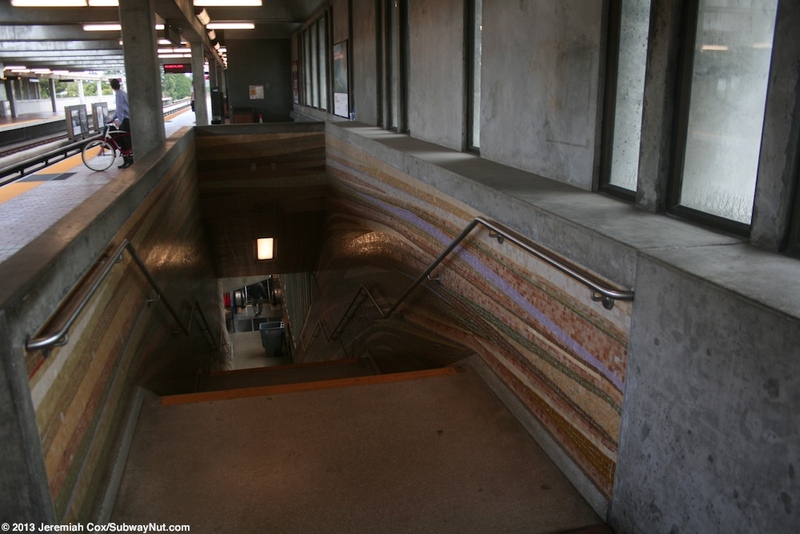 All passengers exit in this area down staircases, elevators and escalators that have some orange and brown mosaic tile to add a bit of color to the station. 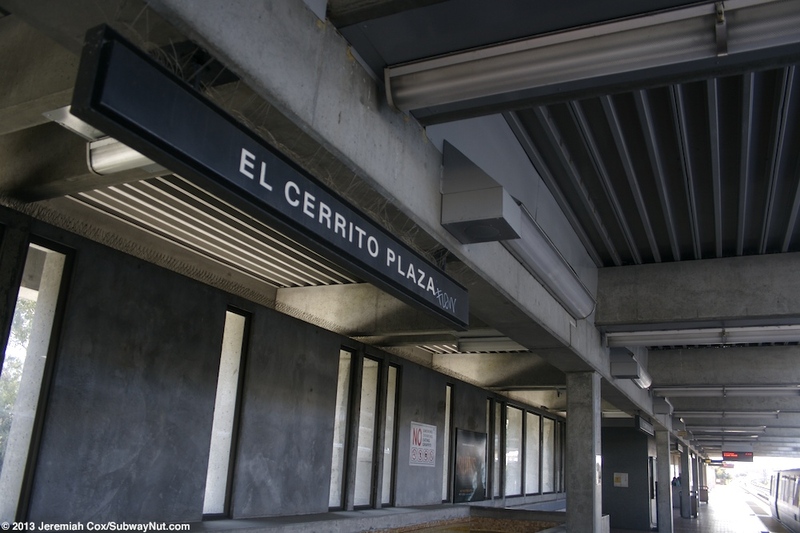 This exit plaza is located between Central Avenue and Fairmont Avenue that cross beneath the northern and southern ends of the station respectively. 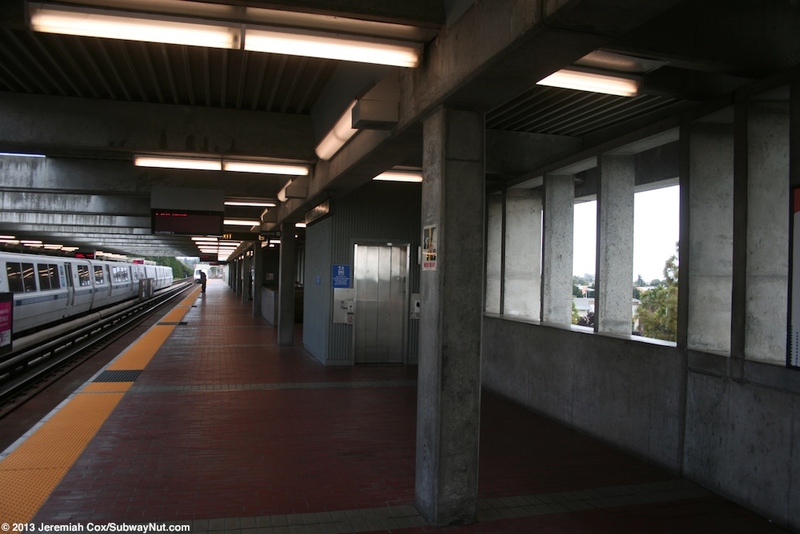 From the exit, parallel to the eastern side of the guideway and station is the Ohlone Greenway and includes a large slightly covered bike parking area including some bike boxes, beyond it is the smallest of the station's parking lots (the carpool lot a fee) and Richmond Street. 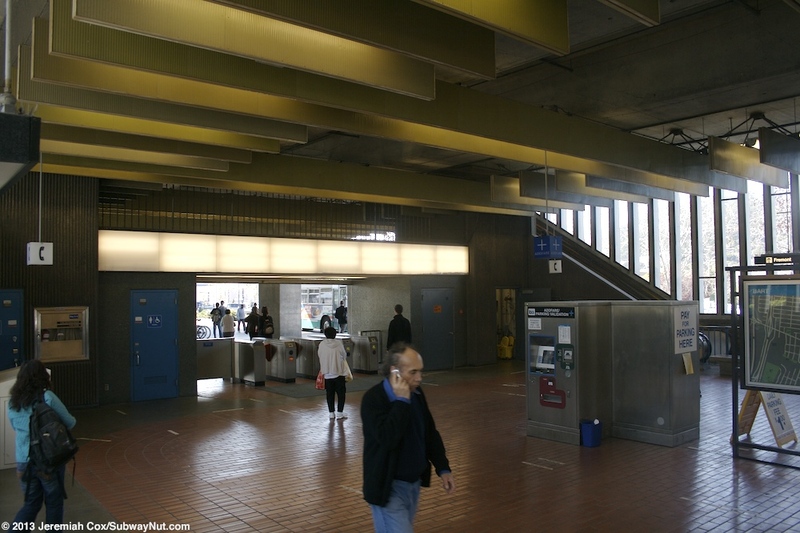 Most of the station's 761 parking spaces ($1 fee) are west of the station in four lots that reach all the way to Liberty Street. 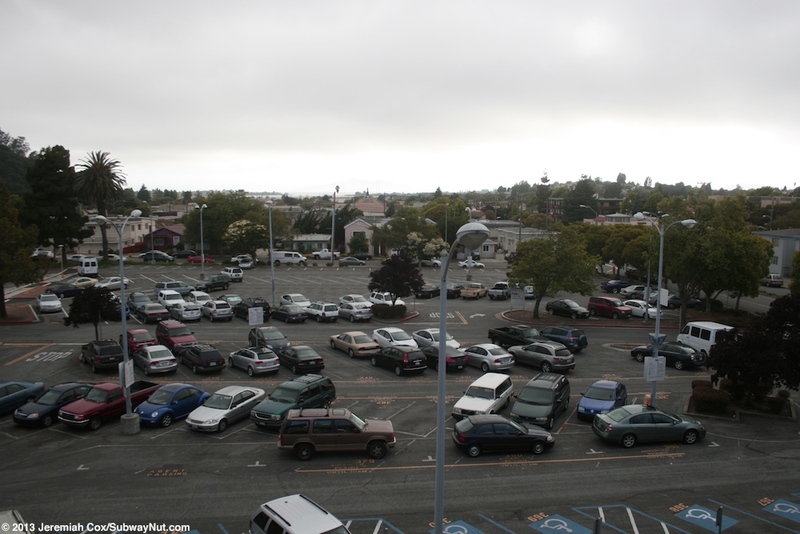 There is an additional parking lot across Central Avenue north of the station.